The 2005-2006 season's smash hit Grey's Anatomy swiftly eclipsed its Desperate Housewives lead-in, in ratings, in critical claim and in vocal viewer enthusiasm. What could have been just another hospital drama is elevated by sharp, clever writing, strong female characters and a stellar ensemble cast of multi-ethnic actors. With 20+ million viewers tuning in every week, Grey's Anatomy was the new must-see television show of the year. 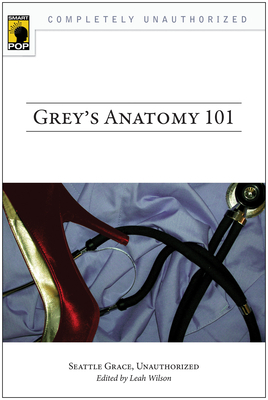 From lighthearted relationship speculations to analyses of deeper themes, Grey's Anatomy 101 gives new perspectives on all facets of the series. If Addison hadn't showed up, would Meredith and Derek have stayed together? How is Grey's Anatomy the first real 21st century show? Why is everything in Grey's Anatomy so, well, gray? And what would Nietzsche have to say about George O'Malley? The writers in Grey's Anatomy 101 give fans more of their favorite television show, delivering writing as smart, as funny, and as earnest as the show they love.